Whether you have lived in Indiana for a long time, or just moving in to the Fishers area; taking care of your teeth eventually involves a visit to the dentist. We are Dental Care Today PC located at 9744 Lantern Rd in Fishers, Indiana, and our specialty is sedation dentistry. You can reach Dental Care Today PC by calling 317-842-2337. Going to the dentist for the first time in Fishers, or if you have not been for while, can be an unsettling experience for both kids and adults. The very idea of a ‘dentist’ seems to hold negative connotation for many people. If you are an adult who is moving to the Fishers area, or your child is preparing to visit the dentist for the first time, here are a few tips that may help ease you into regular dental checkups and put you on the path toward increased oral health and wellness. 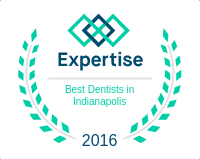 Choose a Fishers dentist who is appropriate for your needs. When you meet your new Fishers dentist for the first time, make an effort to ask questions about the care you will receive. Ask questions that are relevant to your situation including questions about experience, age range of patients, and recommended procedures for any conditions you may have. Get to know your Fishers dentist so you feel comfortable with the care you will receive. Introduce yourself to your Fishers dentist and get to know the office staff. Visiting the dentist in Fishers will seem less of a chore when you feel you have trusted friends who are there to help. Be prepared to provide your Fishers dentist with information. Whether you are experiencing specific pain at that moment, or anticipating a problem, be sure to discuss everything with your dentist. Many patients become intimidated in the office environment and avoid expressing pain or discussing issues. As your dentist, I need to know everything you are experiencing and will be better prepared to help as you ask questions and express your concerns. I understand that everyone is unique; what works for one person may not work for another. You know what works best for you, and the best way to have a good experience with a Fishers dentist is to communicate. Let me know what you are experiencing so that I can make adjustments and help you feel more comfortable and secure. At Dental Care Today PC our friendly staff will work to make your dental experience a pleasant one. We know it can be frightening to visit the dentist for the first time, or after a long while. 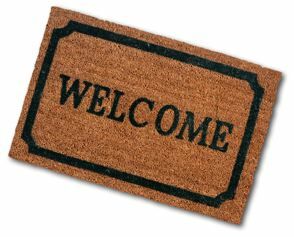 We’ll do what we can to make you feel comfortable, secure, and among caring friends. If you are in Fishers, Indiana and are ready to visit the dentist again, give us a call at 317-842-2337, or stop by to meet us; we’re excited to meet you.